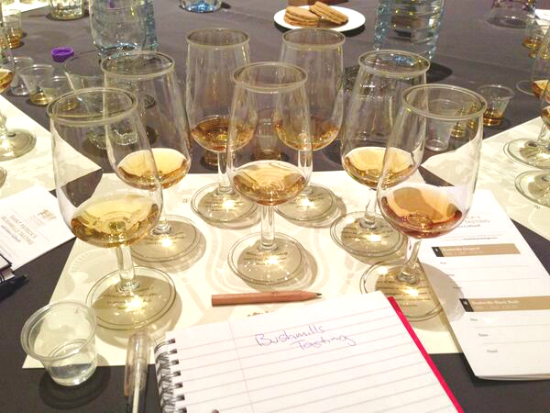 The Whisky Exchange in Vinopolis was treated to a particularly comprehensive vertical tasting of the Bushmills range of Irish whiskeys on Monday 18th March in celebration of St. Patrick’s Day. Leading the tasting was the charming and enthusiastic Robert Galbraith, Bushmills’s Brand Home Ambassador and a man who has Northern Ireland’s only distillery in his blood, having been born in the distillery environs and whose family have served Bushmills for generations. We had a lot to get through, so we cracked straight into the first sample, a small measure of the distillery’s new make spirit. By the end of the third distillation at Bushmills the new make has made it up to 85%, so it’s diluted to 63.4% before barrelling, and that was what we tasted. The new make was excellent – extraordinarily easy to drink even at 63.4%. It was very clean and creamy on the palate, with delicious grassy and sweet apple fruit flavours. Next up was the Bushmills Original (aka White Bush in Northern Ireland). This had a gentle, grassy nose with some hazelnut aromas. The palate was mediumweight, quite sweet but with a sharper hint of young grain and simple flavours of apple, caramel and fudge. Robert was going at a fair old lick, so we headed straight into a comparison with the Black Bush, which is probably Northern Ireland’s most popular blend after you-know-who. In response to a question from the audience, Robert explained that in the old days Black Bush was called ‘Old Bushmills Special Old Liqueur Whiskey’, but as the label was always black it ended up being referred to colloquially as Black Bushmills, and then simply Black Bush. The nickname stuck and eventually was incorporated into the label. Remarkably, this is exactly the same as happened with Walkers Old Highland Blend, which is better known these days as Johnnie Walker Black Label. It was immediately obvious that the Black Bush was richer, with a deeper, more honeyed nose thanks to the extra Oloroso sherry casks used in the recipe. The palate was also a little richer than the Original, though still what I would call mediumweight and not quite as heavy as I remembered it. On the palate, the mouthfeel was quite silky for a blend in this price range, with straightforward fruitcake and milk chocolate flavours on a bed of still quite macho grain. Next up was the Bushmills 1608. This blend was introduced in 2008 to mark the 400 the anniversary of the original license to distil in Antrim granted to Sir Thomas Philips. Bushmills is Ireland’s second-oldest working distillery after Kilbeggan, having been constructed in 1784, but has had the 1608 date of the license to distil in Antrim on its bottles since the 1970s. 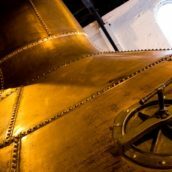 There’s no doubt that the 1608 is a special Irish blend – bottled at a hearty 46% and unchillfiltered (the only Bushmills blend with these distinctions), the 1608 is also further distinguished from its stablemates in that some of the whiskies used were distilled from the rarely-seen crystal malt, a special type of malt that undergoes heating in a very damp or wet oven, causing the sugars in the barley to go into solution. When cooled, these sugars then crystallise in the hull and are then dried in the conventional manner before milling. The result in Bushmills 1608 is a very clean grassy blend with noticeably more depth than the rest of the range, a luscious mouthfeel, sweet natural caramel and toffee flavours, plus distinctive raisin, cocoa and hazelnut notes, meaning that by the finish it resembles the best Fruit & Nut chocolate bar you’ve ever tried. 1608 is the most acclaimed blend in the Bushmills range, having won numerous awards including Best Irish Blended Whiskey at the World Whisky Awards on more than one occasion. With the pinnacle of Bushmills’s blends having been reached it was time to explore the distillery’s single malt range. First up was Bushmills 10 Year Old. I’ve always regarded this as one of the perfect ‘gateway’ drams with which one might introduce a non-believer to the wonderful world of whiskey. 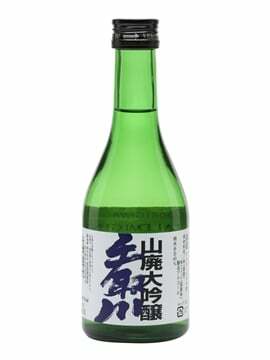 It’s always been a solid player, very easy-drinking and accessible, and I’d noticed an improvement in quality the last couple of times I’d tried it. This time it amazed me – it was really one of the best whiskeys of the night. The nose began with pure meadow aromas, sweet fresh cut grass, honeysuckle and sweetpea. These were joined on the palate by the lightest vanilla bourbon oak notes, some honey, nutty noisette (pardon the tautology) and, best of all an array of mouthwatering tropical fruit – melon, peach, and white grape. An absolute joy. Next up was a rare treat: a 12 year old Bushmills single malt that is normally only available to visitors to the distillery – and probably not even to all of them, seeing as Bushmills plays host to over 100,000 Irish whiskey fans a year. 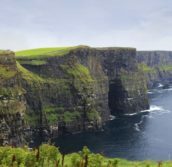 Of course, this is thanks no doubt in part to its proximity to one of the most beautiful natural wonders in the world, the fabulous Giant’s Causeway just a mile or two along the coast. If you’re ever in the area, for Health & Safety reasons it’s best to do the steep, rocky paths of the Giant’s Causeway before going to the distillery and drinking lots of whiskey. Just a little travel tip there. Robert informed us that up to 70% of the whiskies used in the mix for the 12 year old were from sherry casks, and it certainly showed, with nuts, dates and raisins on the nose and palate, which has impressive depth and bite for a 40% Irish single malt. The familiar milk chocolate notes returned on the finish. This was a very good whiskey, but to be honest I was still pretty amazed by the 10 year old. We moved swiftly along to the Bushmills 16 Year Old Three Wood, a single malt matured in ex-bourbon casks before being finished in a mix of sherry and port casks before bottling. This is easily the distillery’s most popular single malt with TWE customers, and I used to absolutely love it myself, but over time my palate has changed and I’ve fallen out with it, finding it a bit too winey and not really hanging together very well. I think I was in a minority of one at the tasting, though, as everyone else I spoke to thought it was one of the best whiskeys on show on the night. Our last standard bottling of the evening was the Bushmills 21 year old Madeira Finish, which is another of the distillery’s whiskeys that my opinion of has changed in the last few years. 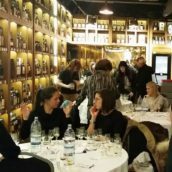 I used to find it rather sickly and one-dimensional, but at last year’s World Whisky Awards I was surprised to find that I really enjoyed it. It was the same this evening: a really complex nose with lots going on, from the familiar cooked apple, chocolate, sweetpea and meadowy notes, to candy floss, apple crumble, and some of the tropical notes I found on the 10 year old, with peach and apricot spreading across the palate – all without becoming sickly or cloying. By the delicate finish I was reminded of nothing so much as a young sauternes (curious, considering the whiskey was finished in an entirely different style of wine cask). This was my favourite whiskey of the evening, just beating out the 10 year old, with the 1608 a very honourable third. With the standard range now fully examined, we were treated to a few cask samples before heading off. A pair of youngish (8 year old) samples ably demonstrated the differing effects of bourbon and sherry cask maturation on the distillery’s single malt. 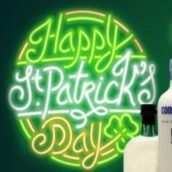 I found the bourbon cask more to my liking, with its emphasis on the grassy side of Bushmills character, though it was still clearly not quite the finished article, being a little young and sappy. 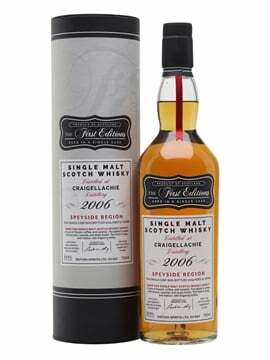 The sherry cask sample of the same age showed classic raisin and date fruity notes but was still a little one-dimensional. 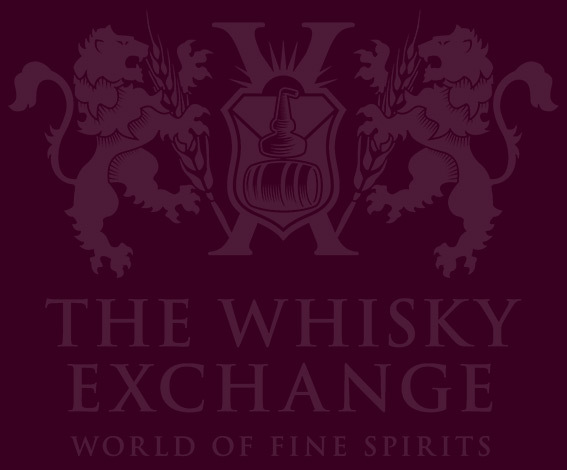 Finally we repaired to the Whisky Exchange shop in Vinopolis to try a real treat – a cask strength Bushmills from a 15 year old bourbon cask, weighing in at a very hearty 56.5%. This was tremendous stuff, though seemingly quite different from what had gone before. 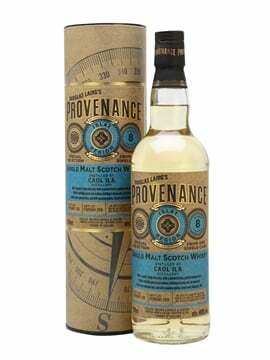 To start with it was a remarkably luminescent yellow colour – think a slightly darker hue than Strega – but the palate was a departure as well, with lemony notes amongst the vanilla cream, a pleasing herbaceous note and intense barley sugar and lemon barley water on the palate. It was a pretty triumphant end to the evening. Heartfelt thanks to Robert Galbraith for an entertaining presentation (and no less than three toasts during the tasting) and well done to him for putting up with our daft questions and for keeping his nerve despite the presence in the audience of a table of Diageo’s top London brass. Those of you of a social media bent can follow the evening’s real-time proceedings on The Twitter via the wonders of Storify here.